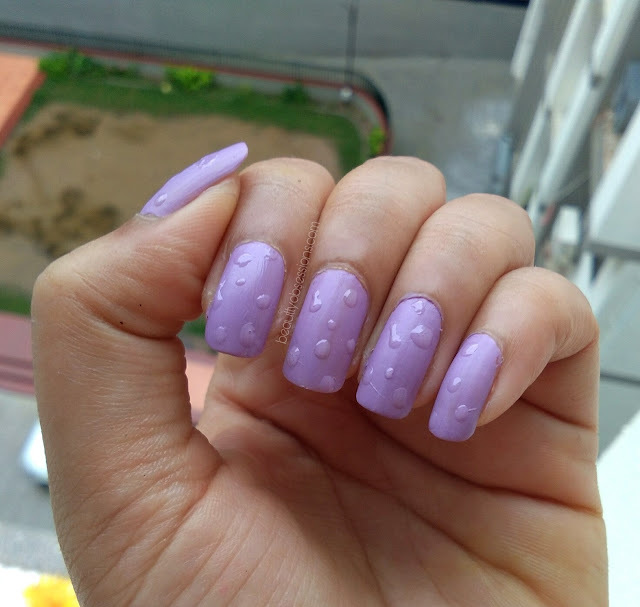 If you remember, last year I have shared a nailart with name 'rain drops on leave' which was a 3D nailart and was a disaster too... Hence this time I have tried to put raindrops on my freshly painted nails and it is a 3D art too... 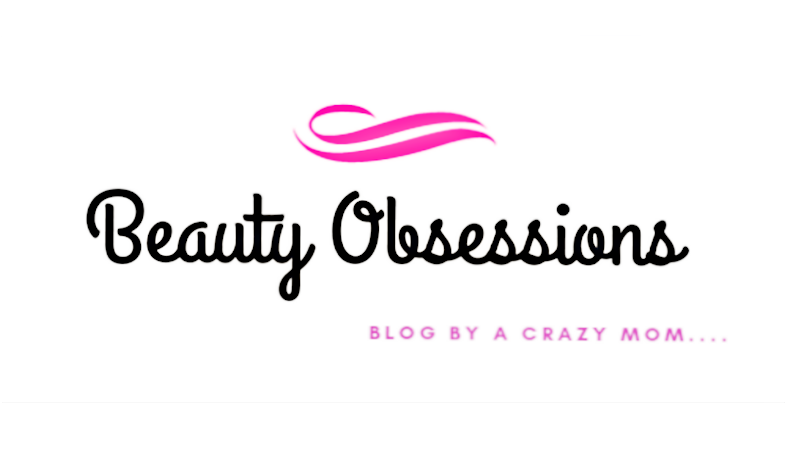 The nailart is super easy and everyone can draw... This is a no tool nailart and only you need two polishes for this art.. A 70% dried, gooey transparent top coat polish is required for this art... 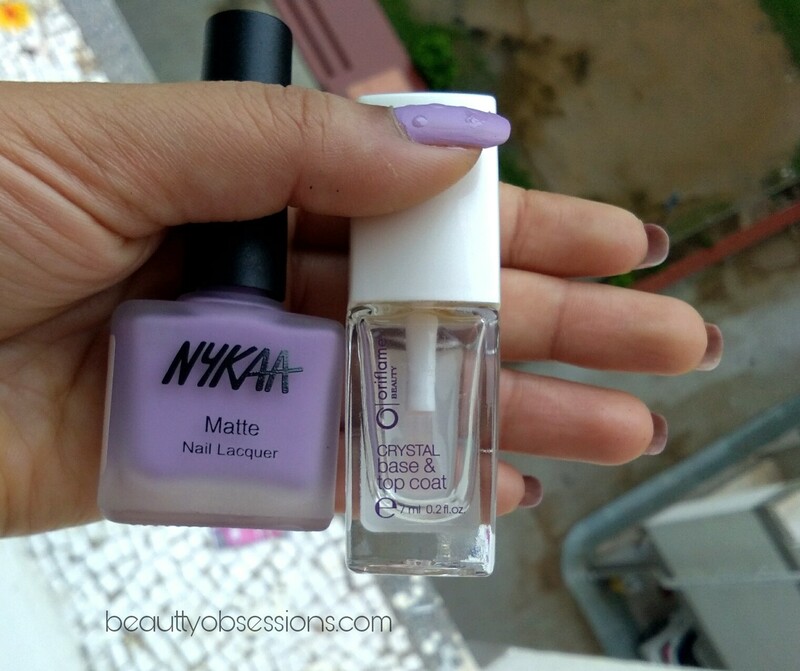 So let's move to the nailart tutorial..
1- Any colour nail polish, I have taken Nykaa matte nail polish Lavender Panna Cotta. 1-First I have painted my nails with nykaa matte nail polish.. You can choose any glossy polish too..
** Find all #Monsooninspired nailarts HERE . Definitely try and share with me... Thank you.. 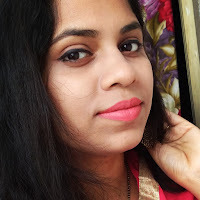 This look is perfect for mansoon parties. Looks so fabulous and beautiful. I love the colour lavendar. 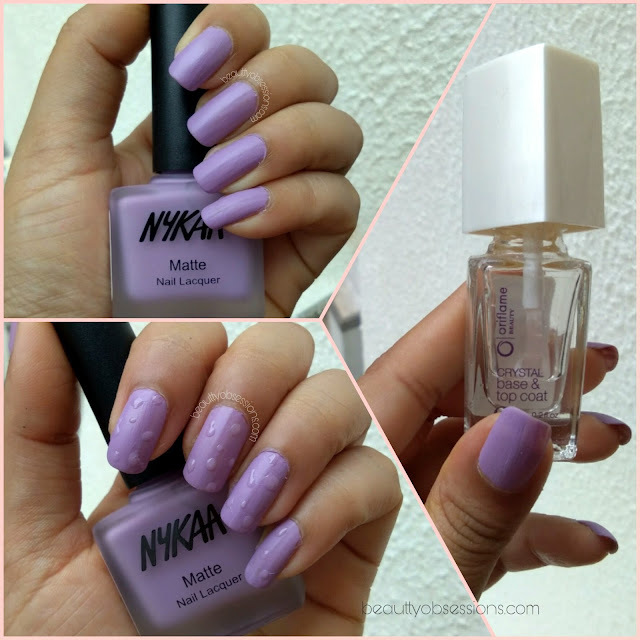 Very pretty nail shade. Thank you... Me too love the colour, so refreshing.. They are actually looking like rain drops and this is so easy wow ! 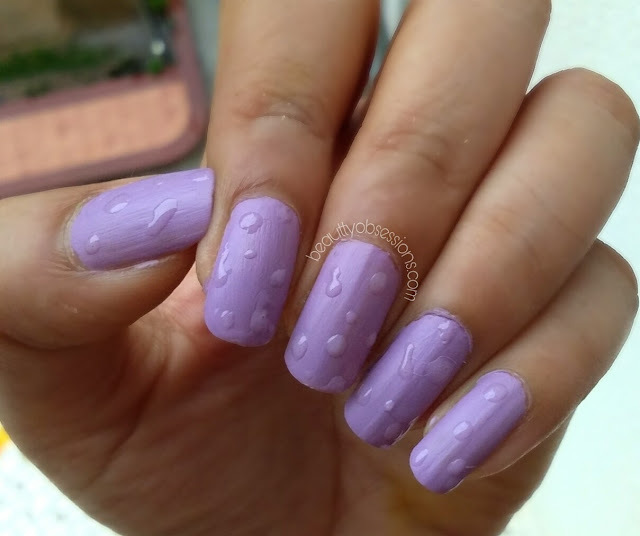 They actually look like rain drops and so easy .. Wow !! It is really an easy peasy one. I think I can recreate it. If I, then share with you. And that lavender shade is just awesome.